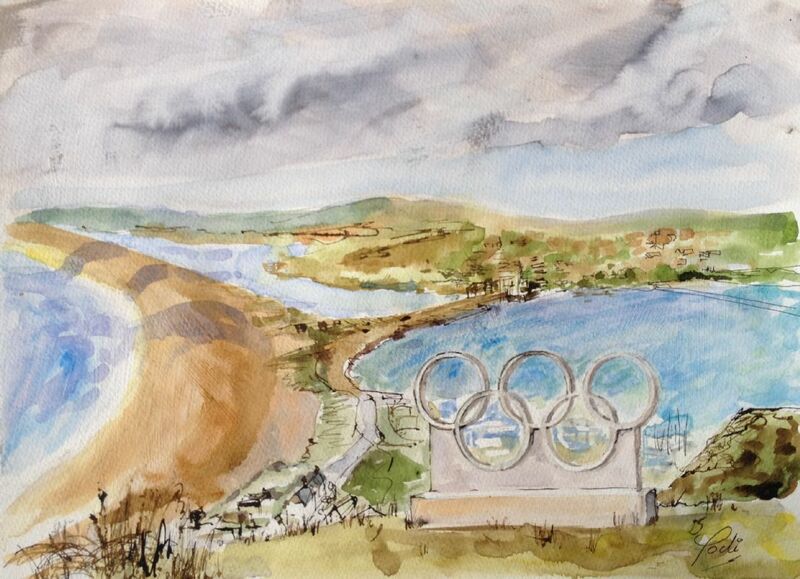 18 miles of beach tying Portland to the Dorset Coast, as seen from the Heights Hotel and the Olympic Rings. Painted in acrylic ink on watercolour paper. Image size 13” x 17” framed with 1” limed oak and ivory mount. Also available as giclee prints. Personally signed limited (50) edition archival prints original size (A3). Flat packed.